My TRUE LOVE gave to me….a Promise. God has promise for your life. A dream. A purpose. Have you thought about that recently? I have. His WORD is completely clear about that. God’s promises and His personal intentional focus on you and your hearts desires, is always on His mind. He placed the desire in you as He knit you together, just like He knit Jesus!! If you find that difficult to believe, read Psalm 139. You will see it there but that is only a beginning. The same truth is all over scripture. Flat, all over it!!! I was thinking about God’s relentless love and fulfillment of His Word as I continued my focus on Luke’s version of the virgin birth. 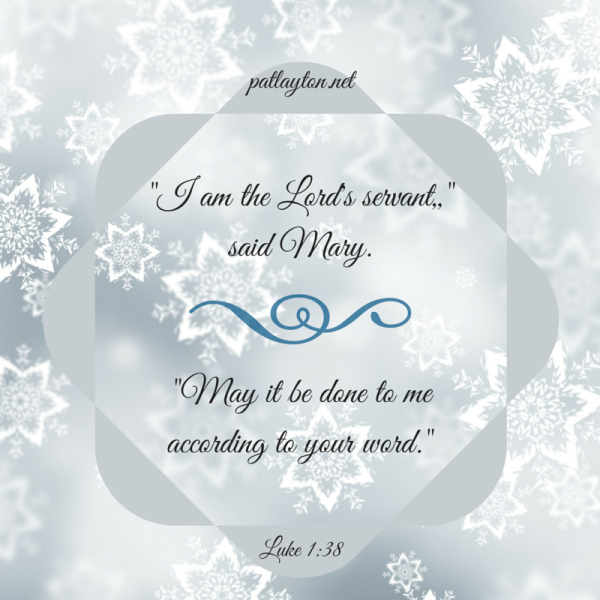 Today, as I read, God showed me 5 Steps to Seeing A Promise Fulfilled as lived out through Mary. This is the SHORT version from my journal today. I invite you to consider each of these steps for your own dream, your own promise. Say YES to God and be willing to step into unknown territory and not look back. 2: Luke 1:39–Do life with God chasing friends. Establish your life in a home church under a WORD teaching Pastor and church family. Find a friend who “walks the walk” and “talks the talk” of faith with you. It will make ALL the difference as you go through the hard stuff WILL COME on the journey to a promise. 3: Luke 1:46-55–Claim, speak, and sing the promise. Keep it in your heart–mind and mouth! Do not give in to talk of defeat, failure, loss. Keep your eyes on the promise (#2 will help you with that!). We humans are weak at this. I ran into some promise road blocks this year that nearly stole my faith. Number 1 and 2 kept me going and helped me get past the pain. 4: Luke 2: 7–Do the work! I shared in last post the WORK part we see Mary having to do and that didn’t even touch the 33 years of good old child raising she lived out. All of us Mamma’s know what that entails! If you have a promise, a dream, in your heart and it lines up with scripture, God has placed it there. Now do some work!! Take the next step towards what He has shown you. Join what He has someone else doing that is in your promise–land. Help them. Support them. It is while we are doing what we know to do that God steps in and take the pain to the next level. 5: Luke 2:19–Keep the Faith. Ponder and Pray. Believe God for His promise. Stay the course. Don’t give up. Your “angel” could be right around the corner! God is true to His Word! My Christmas Gift Give-Away–(Not to anyway compare with God’s!! 🙂 is only 12 Days Away! Did you get that?? Christmas Day is only 12 Days away!! What step are you MOST focused on in the 5 Steps above?? I can’t wait to hear since, although I can never replace a face to face friend or your home church, I am a CYBER version of your Step Number 2~and that just stirs my heart!!! I am on #4. God showed me the other day to volunteer to work with someone who is doing my dream already. I need to start with 1. Surrender all to Him. I keep holding to things for some reason. Learning daily to keep surrendering. I’m struggling with keeping the faith. So much of what I thought were promises seem to be taking so long, that I forget to continue to pray for them, or I just don’t because I wonder if they really are his promises or not. Thanks for the encouragement!